On June 27th we are partnering with GDG Almaty for How Freelancing and Remote Work is Changing the World. 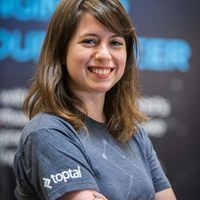 The event is a great opportunity to meet Asia Lindsay, Toptal’s Europe Community Lead, and find out more about freelancing with Toptal. The event begings at 7:00pm at Almaty Tech Garden. For questions regarding this event and to RSVP, please see the event website.